This is Fanatics’ first licensed esports merchandising deal. 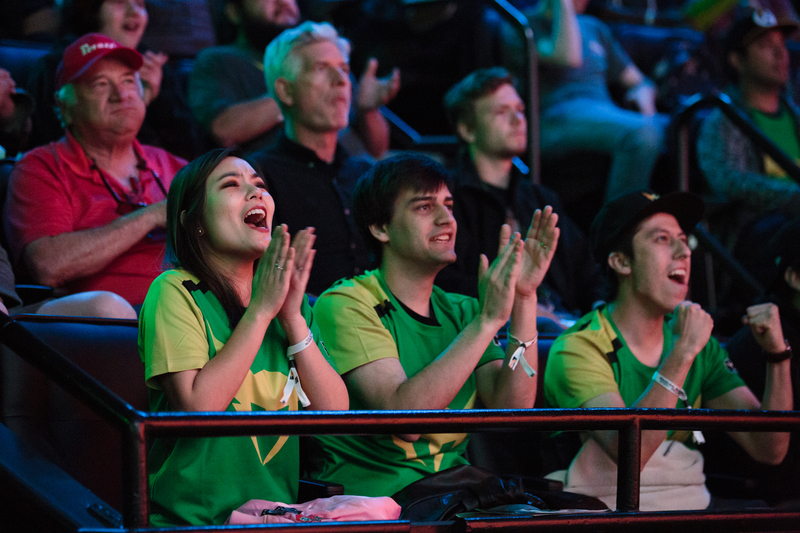 The Overwatch League has signed a multi-year merchandising deal with sports merchandise provider Fanatics for the 2019 season and beyond. Fanatics is the official merchandise partner for the NFL, MLB, NBA, and the NHL—and it’s collaboration with the Overwatch League is its first deal in esports. Financial terms of the deal were not disclosed. Fanatics will hold U.S. and international rights to Overwatch League jerseys, fan gear, headwear, and hard goods, according to a press release. All gear will be sold across all of Fanatics’ retail and wholesale channels. Fanatics will also create a “new global ecommerce and mobile shopping platform” to sell its Overwatch League merchandise. The company will also handle on-site retail at Overwatch League events. This year, Fanatics signed a 10-year deal with the NFL to produce and sell jersey replicas and merchandise to consumers online and in retail stores, starting in 2020. (Nike holds the rights to what the players wear on field.) A similar deal has been struck with the MLB, too. The Overwatch League’s 2019 season will begin on Feb. 14, but a full schedule has not been announced. Eight new teams were added to the league, bringing the total number of Overwatch League franchises to 20. Each team paid a reported $20 to $60 million to buy into the Blizzard-owned league, according to ESPN. A number of other big money deals are spread across the league’s investments—Twitch signed a $90 million deal for Overwatch League streaming rights in January 2018. ESPN has also secured a multi-year deal to broadcast the Overwatch League on its suite of networks, including ESPN, Disney, and ABC.